Welcome to our most recent tiny house parking spot at Animas Valley Village! We drove just over the Colorado state-line into New Mexico to the home of this new tiny house/RV community. It has beautiful spruce and golden cottonwood trees, just a short walk from the Animas River. The village has eleven total spaces, with some available for short or long-term stays. There are two unique tiny house short-term rentals on-site. Currently, itâ€™s home to one tiny house family of five, the Tiny Cottage Caravanâ€” our wonderful neighbors for the week. Wonâ€™t you be there neighbor? Full-time spots now available. 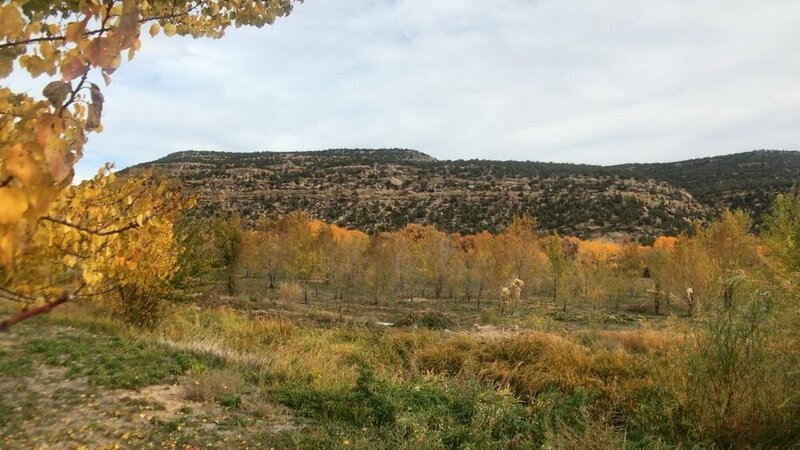 The Animas Valley Village owner, Melissa Lopez originally wanted to share her land with tiny dwellers in La Plata County, CO. Due to restrictions and high costs, she decided to find a new property in a less restrictive New Mexican county. As Melissa would say, she got lucky when she found this property. It was an old, run-down RV park with existing, mostly working infrastructure and zoning for year-round occupancy. Melissaâ€™s family has now fixed up the property. They added an outdoor communal space with a pretty pergola, outdoor seating and grill. Earlier this week, we enjoyed this space with all the neighbors for a BBQ. The outdoor area backs up to the on-site laundry room that features free drying! For us frequent laundromat users, this is a real perk. Melissaâ€™s vision is to create a vibrant, affordable village experience. In the future, the plan is to add a community garden, dog park and outdoor activities like horseshoes. What really liked about the village is how it offers a peaceful, country living within close proximity to two great towns, Durango, CO and Aztec, NM. During our stay, we explored the charming small town of Aztec. We took in the refreshing slow pace by strolling through the historic downtown and riverside park. When we got hungry, we discovered a local burger joint. Blakeâ€™s Lotaburger is New Mexican chain famous for their green chile cheeseburgers. Yum! My favorite was the pumpkin pie milkshake, made from a local bakeryâ€™s pie. Absolutely delicious. The highlight of our trip to Aztec was definitely the fascinating Aztec Ruins National Monument. It is ancient communal home to the Pueblo people. Over their centuries-long migration from the navel of the earth to the promised land, they made settlements across the Chaco Canyon region. Thereâ€™s a half-mile pathway that leads through the ruins, from their ritual gathering places to their sprawling masonry rooms used for living, cooking, and storage. As we took in the sights, we felt like we were transported to the 11th century. An awe-inducing experience. The shared, well-crafted facilities and cooperation required to keep this civilization thriving is very much like a modern cohousing community. 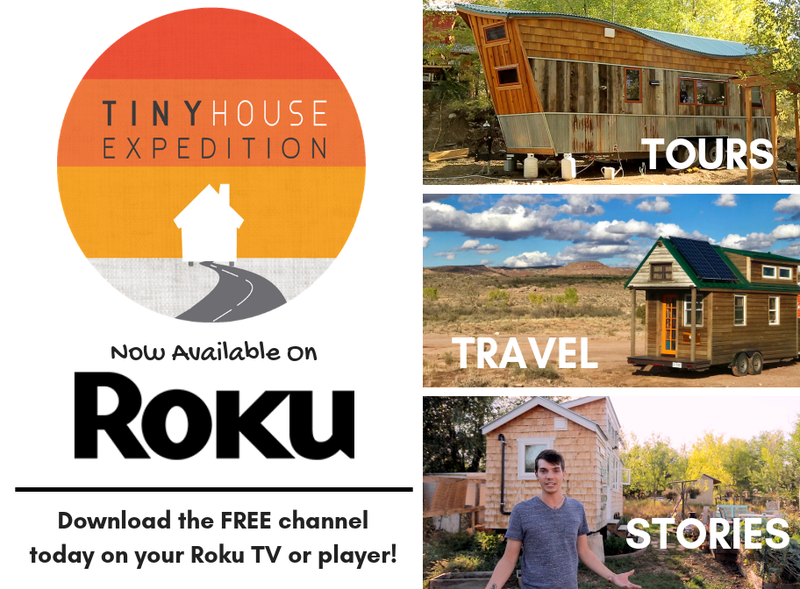 Watch the above episode of Todayâ€™s Tiny House Parking Spot to see for yourself! Cohousing is an intentional community of private homes clustered around shared space. Each attached or single family home has traditional amenities, including a private kitchen. Shared spaces typically feature a common house, which may include a large kitchen and dining area, laundry, and recreational spaces. Shared outdoor space may include parking, walkways, open space, and gardens. Neighbors also share resources like tools and lawnmowers. Of course, no trip to a new town is complete without checking out a local brewery. We were delighted by the quirky 550 Brewing Taproom. The beers were tasty. But the best part was the game room with ultra classic arcade games, including a vintage tabletop hockey game and one of the earliest pinball machines. A great way to top off our well-rounded Aztec adventures. If youâ€™re looking for a legal, long-term parking spot, we highly recommend you check out Animas Valley Village. Itâ€™s less than six months old. They are eager to welcome tiny house dwellers. If you want to visit, you can book a stay in one of their tiny house rentals. 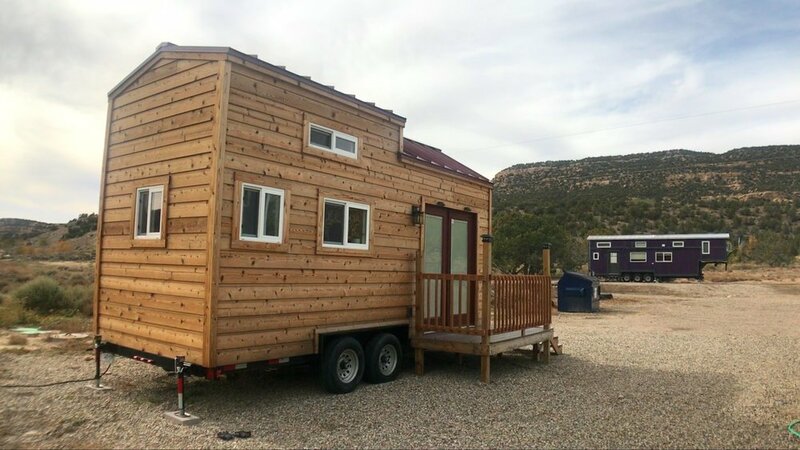 The Pemberley is an impressive 37â€² gooseneck tiny home built by Rocky Mountain Tiny Houses. It is a truly unique home, custom-made for a military family of five. They were recently stationed overseas for two years. Boy, does this tiny house live large, with full-size appliances, walk-in closet, and high-end Orinoco granite countertops. There are three bedrooms in the tiny house, with bunk beds in the gooseneck. The two lofts feature vertical metal louvers that act as heavy-duty privacy curtain that open like shutters to allow for airflow. The other rental, the Willow House offers a very different tiny living experience. Itâ€™s an adorable 20â€™ tiny house. My favorite feature is the stairwell with a beautiful twisted metal railing, like a work of art. For a closer look at both, watch the vlogâ€” see above!